Never agree to surrender or even lower your dreams to hardship.or bad economy. Happy Tuesday from MakeADream_NG, and please remember, Never stop Dreaming, Never stop Believing! 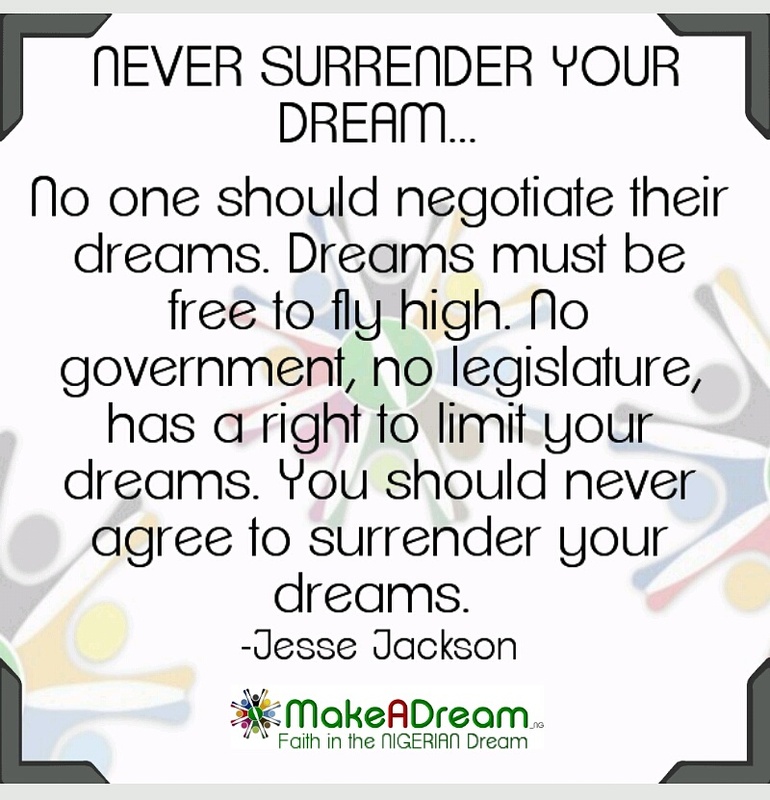 This entry was posted on May 31, 2016 by Funmi Adebayo in #DreamSeries, #OneStopShot, #TheVictoriousAttitude, A Better You Series, Featured, MakeADream_NG Posts and tagged #JesseJackson, #MakeADream_NG, #textgram, #thenigeriandream, Dream, Nigeria.